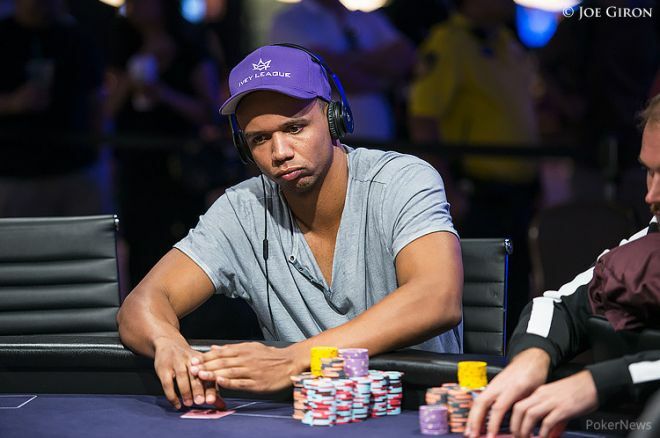 Phil Ivey Files Motion to Dismiss Borgata Lawsuit, Claims Win Was "All Skill"
Lawyers for Phil Ivey have filed a motion to dismiss the lawsuit which claims the poker superstar cheated the Borgata Hotel Casino & Spa out of $9.6 million in 2012. The Borgata lawsuit accused Ivey of cheating at the casino by using a baccarat technique called "edge sorting," but Ivey has responded by saying that his massive win was done by "sheer skill." The Associated Press reports that Ivey's motion to dismiss was filed on Wednesday, less than a week after Ivey won his much-heralded 10th gold bracelet at the World Series of Poker. The Borgata suit alleges that Ivey exploited manufacturing flaws in playing cards during four sessions of Baccarat at the casino in 2012. Borgata claims that Ivey was able to spot tiny variations in the pattern printed on the backs of the cards. Also named in the suit is card manufacturer Gemaco Inc., which designed the cards, as well as Ivey's partner, Cheng Yin Sun, who reportedly accompanied Ivey to the Baccarat table and gave instructions to the dealer. According to the AP, Ivey's lawyers assert that Ivey and Sun did nothing that could be considered cheating. His attorneys also claim a six-month statute of limitations to recover money lost in an "illegal" game had expired, and that supposed violations of state casino regulations cannot be pursued by individual casinos. In addition to the Borgata case, Ivey is involved in the biggest legal battle in UK casino history. In May 2013 he sued the Crockfords Casino for withholding £7.8 million (about $12 million) he won playing Punto Banco, a form of baccarat. Like Borgata, Crockfords claimed that Ivey used the "edge sorting" method at the casino. Ivey admitted to using edge sorting at Crockfords and said the casino had only itself to blame for not recognizing it. We'll have more on this story as it develops. Get all the latest PokerNews updates on your social media outlets. Follow us on Twitter and find us on both Facebook and Google+!